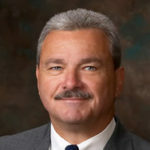 AUSTIN – County Judge Bill Stoudt of Longview has been reappointed to the state Commission On Jail Standards. He currently serves as chairman of the commission. Governor Greg Abbott made the announcement Friday. The term of the appointment, which is subject to senate confirmation, is set to expire on January 31, 2025.